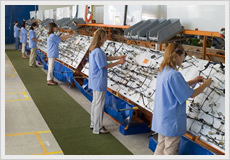 NURSAN ELEKTRIK DONANIM was founded in 1976, and from 1992 until present day operates in Istanbul - Turkey in an enterprise with covered area of over 35,000 square meters. In 2002, in a joint collaboration between Nursan Electric Donanam and Koush Group, Nursan Otomotiv Ltd. was founded, which currently operates in an enterprise located in village Lulakovo, municipality Burgas, with a covered area of 7000 square meters. "Nursan" works with over 20 clients from Turkey, France, Italy, and its total turnover reaches 60,000,000 euros. 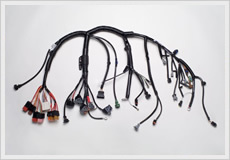 Nursan produces automobile cable systems and battery cables for cars, light-trucks and trucks. At the same time it offers a wide range of products for manufacturers of appliances, provides its customers the opportunity for product development, product comparison, mass production and on-site service. The main components of the installation - cables and accessories are manufactured by Nursan. It is a flexible company that can cope with any changes in orders from their customers in order to satisfy them completely.